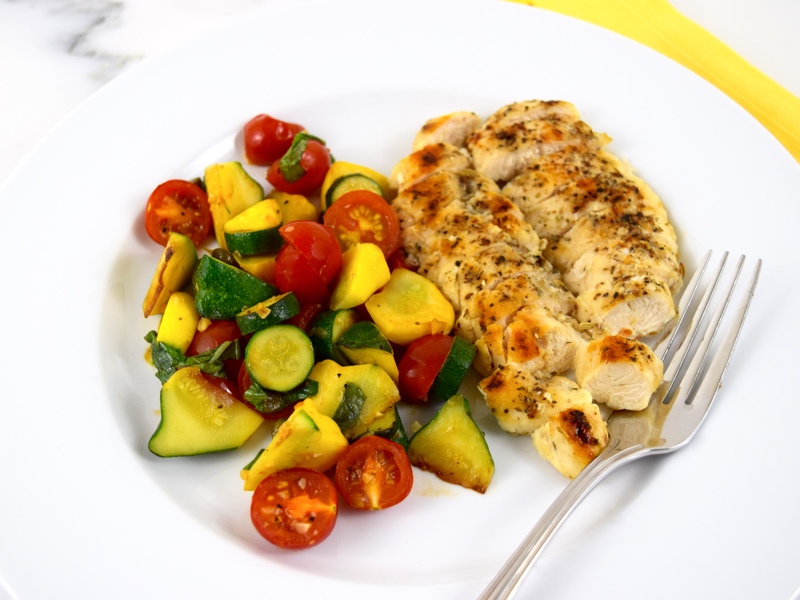 When I saw the all the wonderful bags of mixed baby squash at Costco, it brought to mind this recipe, “Sautéed Chicken with Tomatoes and Squash,” in America’s Test Kitchen, Cooking Fresh, 2015. I couldn’t resist, so I bought one! 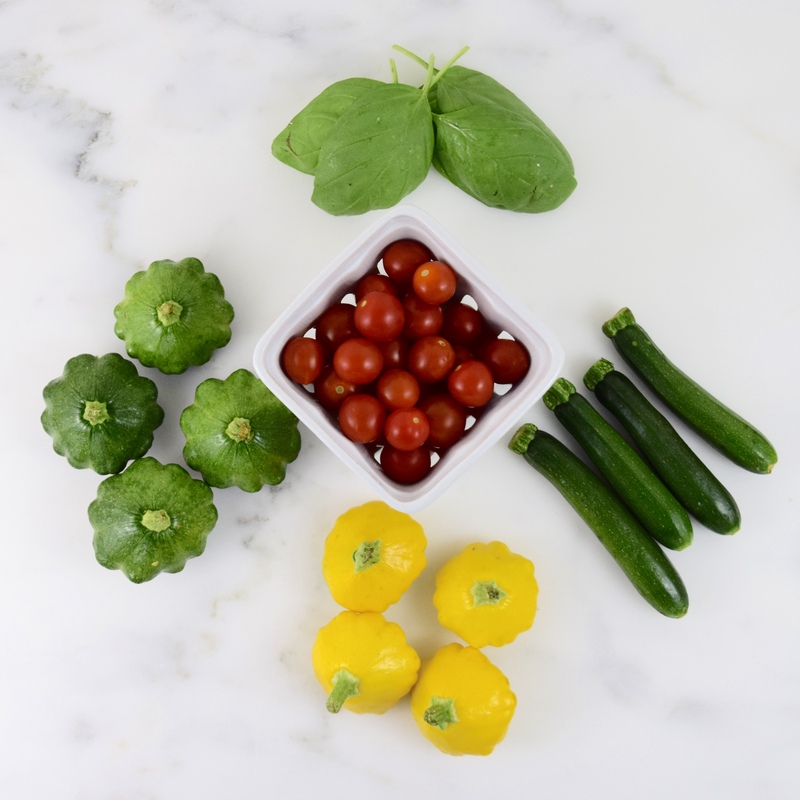 The dish is a colorful mixture of zucchini, yellow squash and cherry tomatoes and is cooked with garlic, capers and fresh basil. 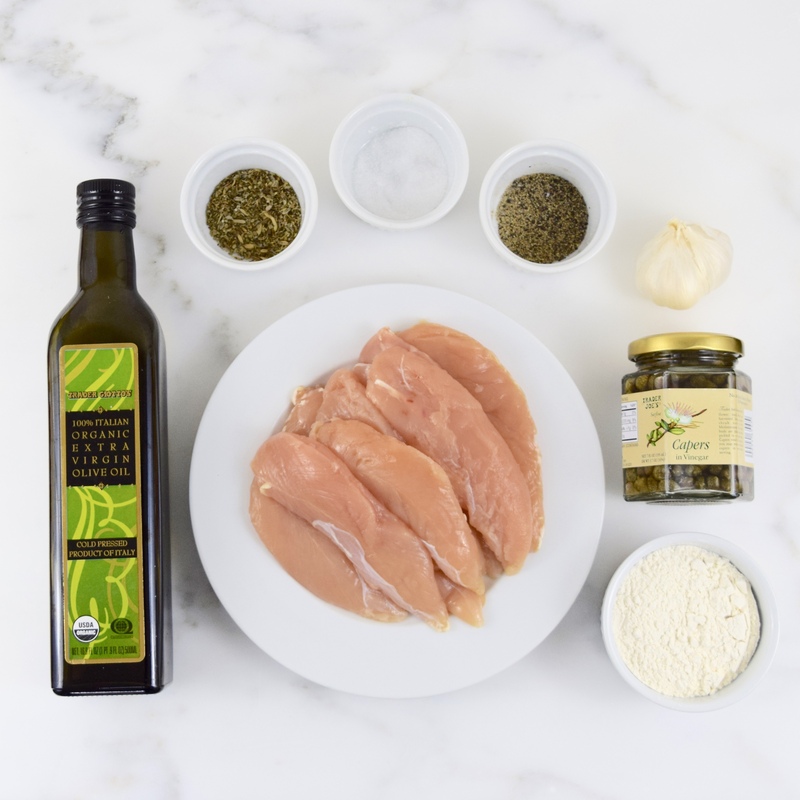 The sautéed chicken is seasoned with Herbes de Provence, salt and pepper. 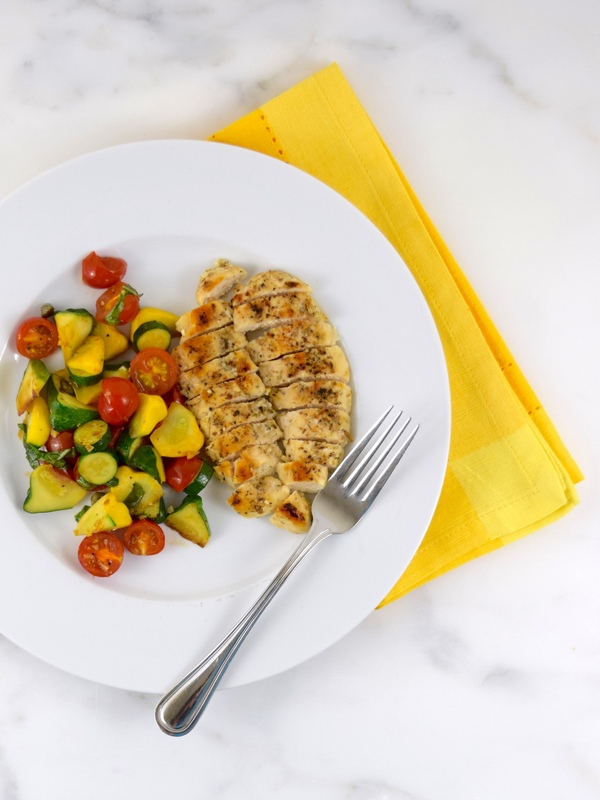 I love cooking with frozen chicken breast tenderloins, which I always have on hand in my freezer, because they thaw quickly. The tenderloins take only 3 minutes to cook on each side and they are always moist and tender. I hope that you will give this dish a try. It is so healthy and delicious to eat! Using paper towels, pat dry the chicken. Sprinkle each breast or tenderloin with the Herbes de Provence, salt and pepper. In a shallow dish, spread the flour and dredge the chicken. In a large nonstick frying pan, heat 2 tablespoons oil over medium-high heat, until just smoking. Add chicken breasts and cook for 6 to 8 minutes on each side, until nicely brown. For the tenderloins, cook for 3 minutes on each side. Transfer meat to a plate and cover with foil. Using the same frying pan, heat 1 tablespoon oil over medium-high heat. Add squash and cook until brown spots appear, approximately 8 minutes. Stir in garlic, cook for about 30 seconds. Add tomatoes and capers and cook for 2 minutes, until tomatoes are soft. Season with salt and pepper. Finally, stir in basil. Serve with chicken. 4 servings. This looks so delicious! Wonderful pictures! This dish looks delicious. I’ve seen those cute little squash but have never cooked them or even known how to. This is a great recipe. I’ve been loving the mixed squash at Costco!! This looks great.